Should a company limited by guarantee issue a membership certificate? There is no legal obligation for a company limited by guarantee – whether a club, flat management company or other membership organisation – to issue a membership certificate when admitting new members. But, akin to share certificates for other types of company, it’s still very common to do so. In this article we look at the reasons why membership certificates are so attractive, what information should be included and how easily to prepare a membership certificate for a new member. You can also make use of our free membership certificate template and handy tool to manage membership lists as well as active and cancelled certificates. Want to produce membership certificates? Inform Direct makes it easy to manage a company limited by guarantee, helping you keep records for members and directors, maintain statutory books and make filings to Companies House. 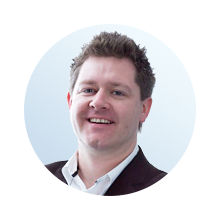 Given that there’s no strict legal requirement to produce membership certificates for a company limited by guarantee, why do so many companies still do it as part of the process to accept a new member? Often, the company’s articles of association will state that new members should be issued a member certificate. In this case, any special requirements or process defined in the articles should be followed carefully by the company directors. Members who are paying a joining fee, or those becoming members of a property management company after buying a flat in a block, will often expect to receive a certificate. This is particularly true where other clubs and residents management companies provide certificates, meaning that those guarantee companies not providing membership certificates will be put under pressure to do so. The member certificate is something tangible to represent membership. 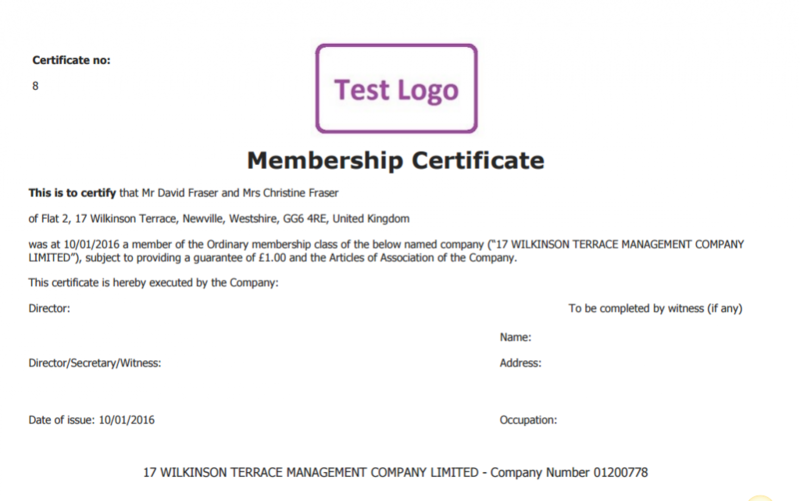 While the register of members is the definitive list of who is a member of the company, a membership certificate can provide the holder with some comfort that their application to join is successful. Even if it has little legal basis, membership certificates can lend a sense of authority. For clubs, an attractive membership certificate can also lend a sense of prestige. What information should be included in a membership certificate? Membership certificates should be issued to the member in a reasonable timescale, which might be defined in the company’s articles of association. Usually, the certificate will be sent with a letter welcoming the new member to the company, which can also provide an opportunity to set out other important information. Many guarantee companies, particularly residents’ management companies, will also use this opportunity to send the new member a copy of the company’s constitutional documents. It’s easy to produce professional certificates using our free online membership certificate template. If your club or block has a logo, you can also upload that so it appears on each certificate you issue. Inform Direct also maintains a list of the membership certificates you’ve issued, so you can clearly see at any one time which are active and which are cancelled. When you add details of all the company’s members into Inform Direct, it also keeps a full list of their details – so you no longer need to maintain a separate register of members, just print it out whenever you need it. As a new member joins or an existing member leaves, you just make a simple change and the register of members will be automatically updated. With full support for multiple membership classes, joint members and bespoke guarantee amounts, Inform Direct gives you everything you need to manage the records of your company limited by guarantee. Inform Direct helps you keep up to date records for members and directors, maintain statutory books and make filings to Companies House.